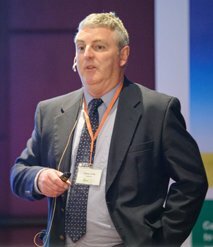 The 2019 Dairy Feed Quality Conference – a two‐day technical conference for feed manufacturers, nutritionists and senior executives of milk operations examining dairy nutrition, and the interaction between nutrition and management of the modern cow – will be held on 16-17 September (Monday-Tuesday) in Bangkok, Thailand. 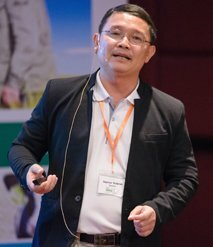 Asian Agribiz’s inaugural Dairy Feed Quality Conference held in Bangkok, Thailand in November, addressed tools and techniques to increase milk yield and profitability under tropical conditions in Asia. The region is driving global growth in milk production and consumption. 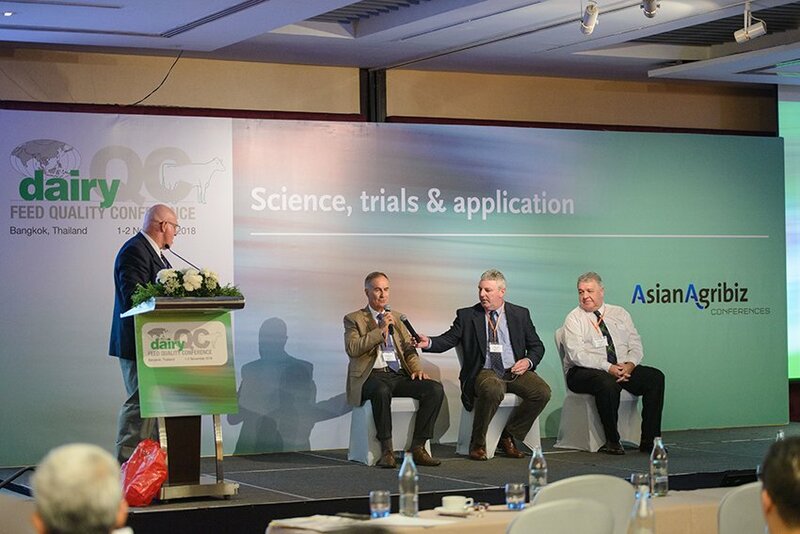 Renowned dairy experts from around the world were invited to present on three themes that are critical for Asia to grow its milk production within the region. The themes were Formulating for improved outcomes in dairy ration; Nutritional strategies to improve health and performance; and Essentials for enhanced reproduction and breeding. 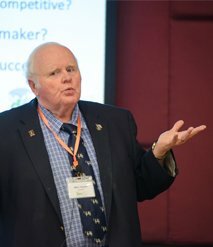 Mike Hutjens, a reputed dairy extension specialist and Professor Emeritus at the University of Illinois, USA, led the discussion on the first theme. 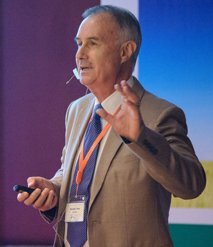 In his presentation on ‘Nutritional strategies for performance and economic returns, Prof Hutjens said nutrient intake and balance are key to improving milk production and milk components. He places emphasis on carbohydrates, saying carbohydrate fermentation in the rumen is critical in producing microbial amino acids and rumen volatile fatty acids as energy sources. Humans run on glucose and cows on VFA’s. Metabolizable protein evaluates protein and amino acid requirements. Dairy cattle have amino acid requirements from microbial protein sources and rumen undegraded protein feed ingredients. Milk protein content is related to amino acid supply. He also discussed the benefits of balancing amino acids. Prof Hutjens said that every year forage quality changes and it is important to know the digestibility of fibre. Fats and oils can be used to increase energy density in the ration. Source of oil or fat, economics, and handling characteristics must be considered when selecting sources. Feeding PUFA (polyunsaturated fatty acids) can lead to rumen disorders and lower milk fat test. Feed additives are feed ingredients added to a dairy ration that functions in a non-nutrient role (such as improving rumen fermentation or reducing heat stress). Four factors to consider when selecting a feed additive are its function, the benefit to cost return, research results, and on-farm responses. He reviewed his assessment of indicative ROI when using additives. Also reviewed aspects related to heat stress, rumen stability and the proportion of first calf heifers in the herd. He mentioned measuring MUN as a powerful tool to evaluate if cows are capturing nitrogen. Apart from essential nutrients such as carbohydrates, proteins and energy, water is equally important for dairy. Steve Little, Principal of Capacity+Ag Consulting, said dairy producers should ensure good water balance in dairy cattle as it is the first and most essential nutrient in dairy nutrition. It contributes to sound performance and the financial success of a dairy business. Rumen microbes are affected by the water quality and Mr Little described how nutrient digestibility can be affected. He discussed the importance of biofilm and the need to evaluate possible sources through the whole water supply system. It is important to provide free access to fresh, clean water near the food source, especially prior to and after each milking. In addition, water samples from a dairy farm should be collected for testing at least once a year to ensure hygienic and sanitary quality. 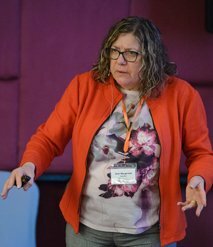 Increasing the efficiency of milk production while reducing the cost of production is crucial, said Jean Margerison, Associate Professor at Nottingham University’s Faculty of Science. She concluded that the nine key parameters that should be noted and focused on include feed production, feeding, young stock, disease control, reproduction, stock welfare, environment, housing and milking management. 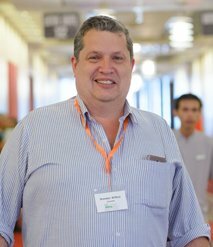 Brendan Wilkins, Dairy Consultant, Thailand, looked at novel concepts in Asia with regards to TMR feeding. He said the first step in improving feed fence management should be taken at the design stage. Once the farm is operational most feed fence management improvements should be based on observation and reaction. If the farm is designed properly most if not all changes that are made based upon these observations will cost little to implement and give good economic return from healthier cows, stable milk components and increased milk production. 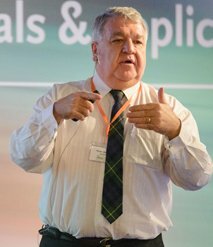 Peter Robson, independent feed and livestock consultant based in Vietnam, pointed out that challenges for the industry are mainly rooted in diverse cultures. To develop the dairy industry, one first should understand the history of the country, people, religion and its nuances and politics. This is essential for foreign governments, consultants and related foreign companies intending to invest or participate in the industry. “Culture is the reason for everything. Analyze and give suggestions by all means and seek ways to support through education and training, food safety and farm management. But this should be done in a manner that takes notice of and respects the culture of the country,” he said. Australian barley and canola meal are proven, reliable, high quality dairy feeds, according to Steve Little. He said barley may be used as the primary grain in dairy cow diets or as a complementary grain in corn-based diets. Canola meal is a well-balanced source of RDP and DUP which may be used as a primary protein supplement in lactating cow, transition cow and calf diets. In Asia, meanwhile, two tropical grass seeds – Mulato and Mombassa, were singled out as potential forage for dairy farmers to raise productivity. Following a series of studies on a production program in Thailand’s Ubon Ratchatani province, Michael Hare, Professor at the University of Ubon Ratchathani, said the two grass types grow well in low fertility, highly-acidic soils of the tropical climate. Both are protein rich. 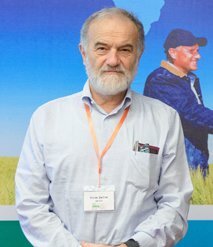 Fertilizer management and appropriate forage cutting techniques, however, should be adopted so that farmers achieve a higher amount of fresh grass for feeding, leading to a better yield in dairy production in the long run. According to Prof Hutjens, profitability and economic returns on dairy farms are based on high milk production, getting cows pregnant, and healthy cows. Dry matter intake is critical to meet these three points as dry matter dictates nutrient intake, optimizes rumen fermentation leading to higher levels of energy as volatile fatty acids (VFA) and microbial amino acids, and maintains rumen fill and function. Through its scientific and technical capabilities, DSM has built five core competencies influencing lifetime production of ruminants. These include Redox Balance, Skeletal Health, Nutrient Utilisation, and Raising Livestock without Antibiotics. “Our innovative range of antioxidant solutions are used within the Japanese dairy and Wagyu beef production systems. The tailored combination of antioxidants is the ultimate way of achieving true Redox balance and therefore optimum animal health during various life stages,” said Dr Yoshinobu Nakatsuju, Ruminant Technical Manager of DSM Nutritional Products, Japan. In New Zealand, he said, advanced pasture passed systems and seasonal calving programs cause poor levels of skeletal replenishment manifesting itself in a high incidence of metabolic diseases at calving. “The positioning of the core competencies has delivered considerable improvements in animal health and productivity for farmers in both cases,” he said. As the industry stresses on organic feed ingredients, banana flowers, raintree pod meal, and mangosteen peel could figure as positive alternatives for dairy producers in tropical countries. These will enhance rumen fermentation, said Metha Wannapat, a professor from Khon Kaen University, Thailand. His research team found that these alternatives are rich in minerals and can be used as rumen conditioners for improving nutrient digestibility, microbe growth, and fermentation efficiency and ultimately, increasing milk production. The study also found that a mixed feeding intervention of tropical plants such as Phaseolus calculates can help improve effective and sustainable dairy production. Beta carotene generates a lot of interest among scientists as a cure to infertility and mastitis in dairy cows, said Dr Chandr Shakhr, Senior Dairy Nutritionist at DSM Nutritional Products India. Citing a trial in India, he said feeding cows with Rovimix Beta Carotene at 300mg/day increased conception rates up to 61% against the control group of 42%. Another study, also in India, showed that feeding the same amount of Rovimix Beta Carotene to early lactating cows with subclinical mastitis resulted in a 60% reduction in somatic cell count, while fat content in milk increased by 10%. 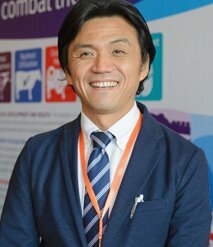 Despite Thailand’s relatively low milk production and consumption, Supanya Budprom, General Manager of CP-Meiji Co Ltd, Thailand, foresees rapid growth in milk consumption in the country in the next few years, thanks to the national school milk program and the growing coffee culture. Coffee outlets and cafes mushrooming across the country are helping boost domestic consumption of dairy and cream. 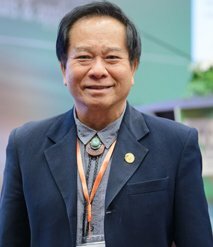 As Thailand’s demand for milk is expected to increase from the current 18 l/head/year to 25 l/head/year by 2030, it is crucial for dairy producers and farmers to come up with an effective raw milk management plan to improve milk production to fulfill the rising demand, he said. Ercole Zerbini, Director of Global Ruminant Technology at Cargill Animal Nutrition in Italy, shared a case study of Cargill’s dairy formulation system, saying it is important for feed producers to understand their roles and different types of nutrients, mainly protein, fiber, carbohydrates, sugar and fat. “The more we can describe the nutrients, the better we can predict the nutrient-driven performance and come up with a dairy diet formulation that can improve animal performance over time,” he said. All the topics at the conference were interesting and useful for participants as feed is the current hot topic in the industry. He was impressed with the list of speakers and hopes more participants and speakers from the government will attend the conference in 2019. “It will be interesting to hear about the government’s role in the feed industry, as this will equip participants with information essential for understanding the trend of feed industry,” he said.